A few months ago we had a pint of whipping cream in the fridge that needed to be used and I pondered what would happen if I added chocolate pudding mix to the whipping cream for some kind of chocolate whipped cream. So, what happens? Something amazing is what happens. I refined my technique over a few trials and now present my recipes for Instant Pudding Chocolate Ganache and Instant Pudding Vanilla Ganache. (I had originally referred to this dessert as "mousse," but mousse apparently requires the inclusion of an egg.) The recipes are almost the same, but some slight adjustments between the two are necessary. We used the vanilla ganache as the filling for my chocolate birthday cake this year and it was tasty. Chill metal bowl and whisk in freezer as if preparing to make whipped cream. Remove 1 tablespoon of chocolate pudding mix and discard (there is just a bit too much in the package). Begin whipping 1 cup of the whipping cream as if making whipped cream. As the cream is whipping, in a separate bowl mix the milk, remaining whipping cream, and instant pudding mix. Work quickly to mix in the pudding mix, it sets fairly rapidly. When soft peaks form in the cream being whipped pause and add the pudding mixture then resume whipping. 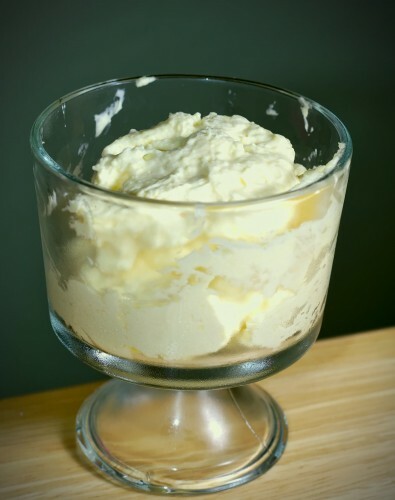 Continue to whip until the mixture becomes fairly stiff and the pudding has been fully incorporated; scrape sides with rubber spatula as necessary. Spoon into serving dishes (we have 6 dessert cups, but it's rich and could easily be split into more servings) or keep in a bowl, cover, and chill at least 10 minutes before serving. Keeps in the fridge for at least a few days, probably longer, but it's always gone after only a few days around here. Begin whipping 1 cup of the whipping cream as if making whipped cream, add 1 teaspoon vanilla extract.